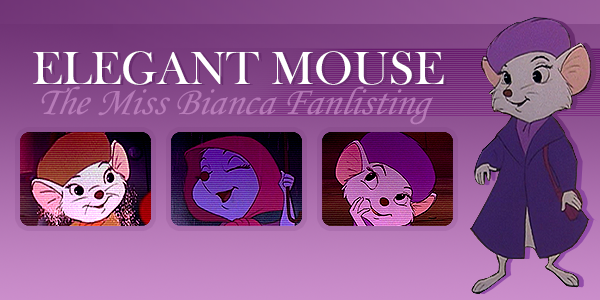 Welcome to Elegant Mouse, the fanlisting for Miss Bianca from Disney's The Rescuers and its sequel, The Rescuers Down Under. This fanlisting is part of The True Kindness Network and is listed at theFanlistings. Feel free to browse the sections of this small tribute and if you're a fan of the elegant Miss Bianca, please join the fanlisting. The Rescuers and all related characters belong to Disney.